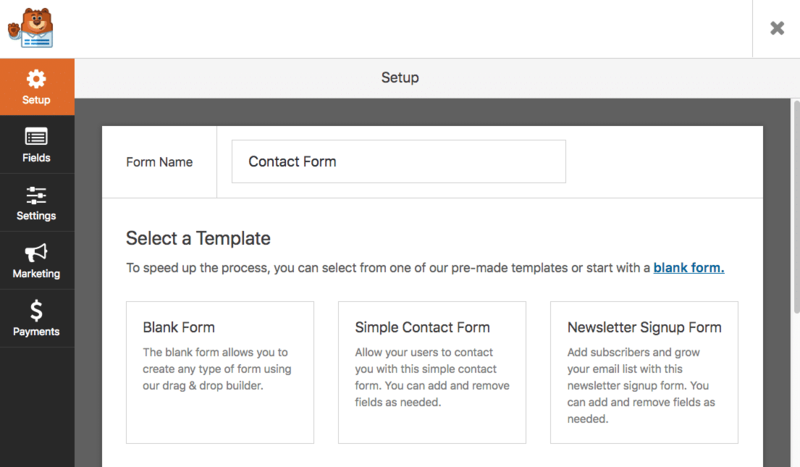 WPForms Review: Powerful WP Form Builder Plugin in 2019? This post is an unbiased WPForms Review, which is the latest drag and drop WordPress forms builder plugin. WPForms is the product developed by the well-known team behind the development of Optinmonster, the popular lead generation WordPress plugin. Let us go in depth about the latest WPForms in this post. 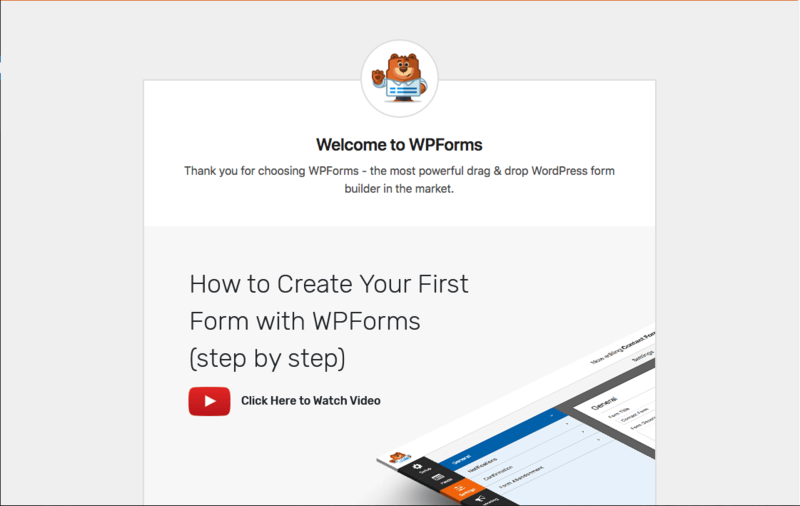 WPForms, in general, is a drag and drop WordPress form builder for WordPress sites. It is advertised as the most beginner friendly contact form plugin in the market. If you are in a hurry, check official website for fast understanding.. Though it is mentioned as a beginner, it does advanced form builder tasks without much work. As said earlier, its the best in class drag and drop form builder at a reasonable price. You don't need to write long codes and checking it whether it works or not. WPForms is neatly coded which is more or less like a visual composer and enables you to build fantastic forms in a fraction of seconds. I just created my contact form using within 60 seconds or less. This built-in forms saves your time while building your WordPress website and it is truly the best drag and drop WordPress form builder plugin for Website builder. If you visit our Contact us page, you can realize how responsive the forms are. For your convenience, I have added a demo form below and visited this blog post on your mobile and checked the responsiveness of the form. WPForms smart conditional logic allows you to show or hide fields, sections and also enables you to send specific notifications based on user selections. The goal of our conditional logic addon is to allow you to create smart powerful and useful forms that give you the best results. Add a newsletter subscribe tick box by which if the person who sends an email (if he checks the option) he will add to our email subscribers list. Multi-level forms – you can use two-step forms like if a user clicks on a button, he/she will be redirected to the new form. You don't need an additional WordPress plugin to perform these actions. How about impressing your customer with a quick reply. By WPForms, you will get a fast notification if someone fills out the form in any part of your website. You can easily review all submissions from the entry management screen. This is absolutely stunning and highly time-saving thing. WPForms makes it easy to view all the leads at a single dashboard known as Entry management. All your entries are stored in the WordPress database and readily available inside your WordPress dashboard. You can view the data whenever you need it without any hassles. Collect payments on your WordPress website via PayPal with one click buttons built for collecting donations, payments, and online orders. Once if you made the form, go to first fields and add the PayPal add-on. That's it, and your money will be taken care by Paypal with ease. One of the major upgrades they brought recently is Stripe payments. You can collect Stripe recurring payments through WPForms now without any hassles. Since its an initial version it comes with Aweber and Mailchimp while future upgrades will get access to GetResponse, Convertkit and many more Email marketing software. As of now, you can create AWeber and MailChimp opt-in forms. Look out how to build a subscription form using Aweber WordPress to grow your email list. Want to embed your form in the sidebar or WordPress widgets or footer. You can use the shortcode to embed your forms on any WordPress page or blog post easily. If you are a WordPress theme developer and want to use it as a theme, just you can use hooks to do it. An essential Spam protection technique using Honeypot. That's cute since we don't need to use captcha on your forms which sometimes irritates form submitters. Anyway, you can use captcha too if you think your blog is attacked by spammers. 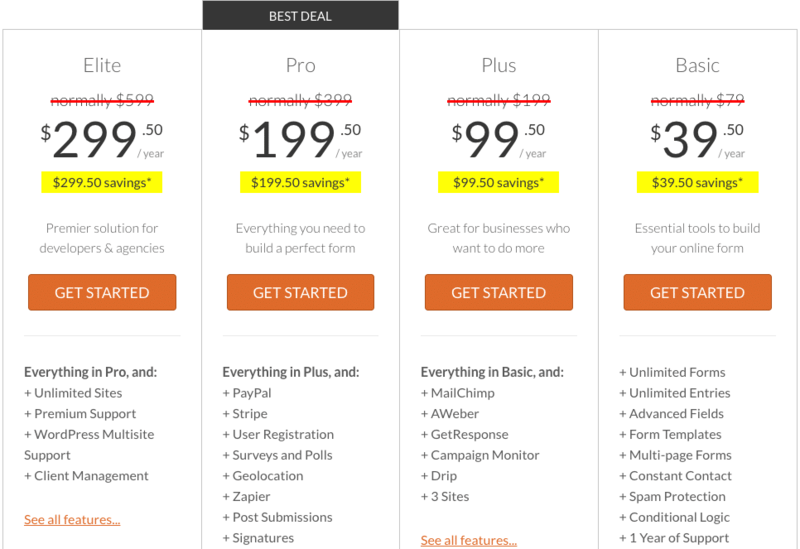 Check out the pricing details of WPForms below. As per the developer, WPForms will get an enormous number of updates in near future and if you are using optin monster, the opt-in forms WordPress plugin then you might know how they are building awesome products to WordPress community and as like that this product too won't disappoint you at any cost. After recent Contact form 7 update, that came with lot of issue, i was looking for a decent contact form. Seems Investing in WPForms is worthy. They worth it , Anand. I’m using it in my site too. Great review. We actually seen clients switch from Contact Form 7 to WPForms and so far, they’re loving it.